Could this be the funniest movie ever made? 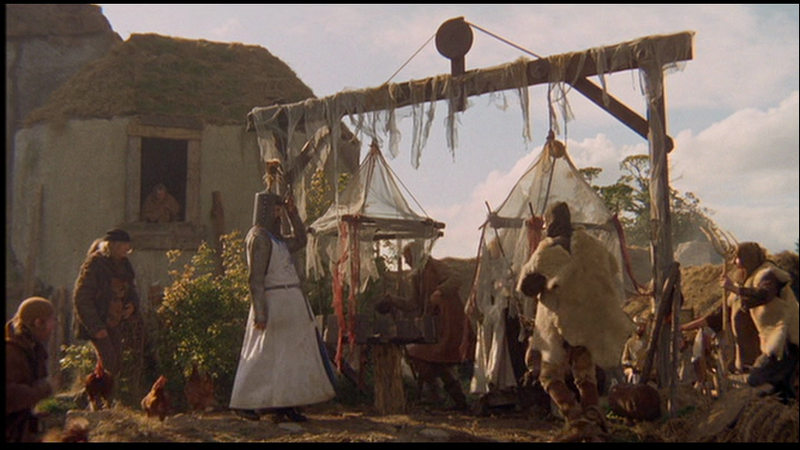 By any rational measure of comedy, this medieval romp from the Monty Python troupe certainly belongs on the short list of candidates. 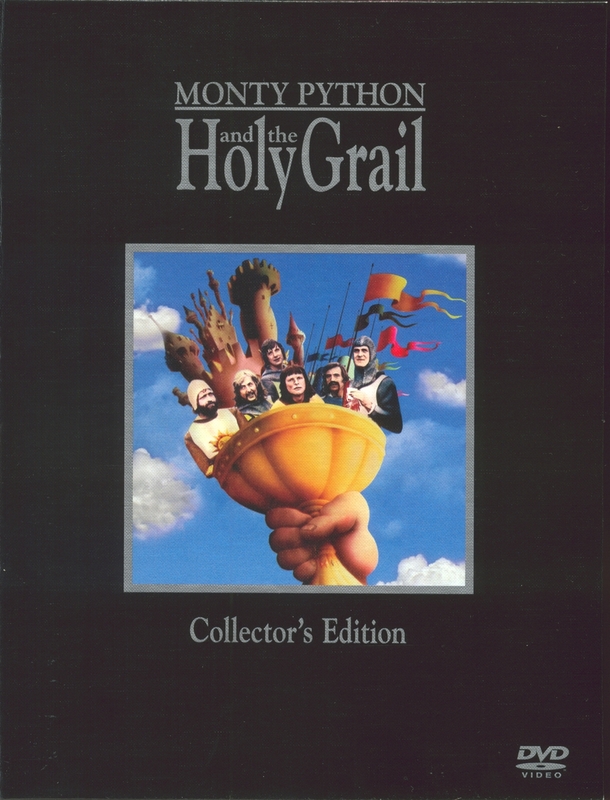 According to Leonard Maltin's Movie & Video Guide, it's "recommended for fans only," but we say hogwash to that–you could be a complete newcomer to the Python phenomenon and still find this send-up of the Arthurian legend to be wet-your-pants hilarious. 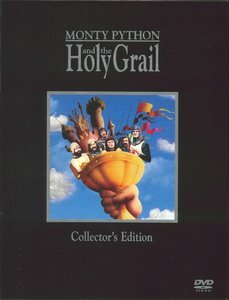 It's basically a series of sketches woven together as King Arthur's quest for the Holy Grail, with Graham Chapman as the King, Terry Gilliam as his simpleton sidekick Patsy, and the rest of the Python gang filling out a variety of outrageous roles. 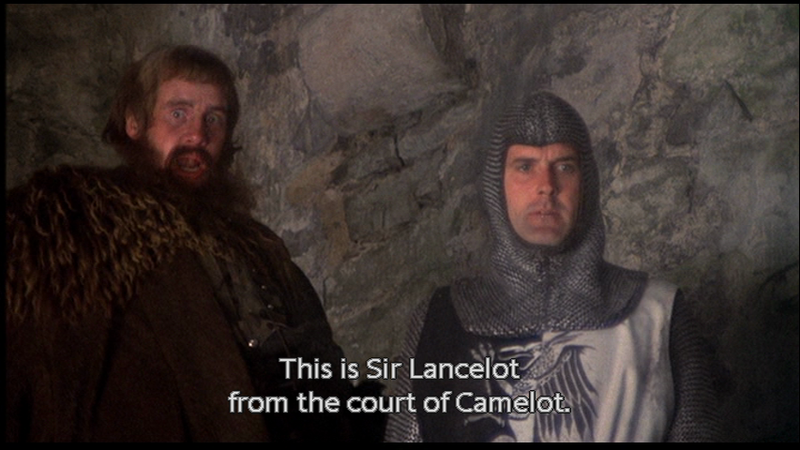 The comedy highlights are too numerous to mention, but once you've seen Arthur's outrageously bloody encounter with the ominous Black Knight (John Cleese), you'll know that nothing's sacred in the Python school of comedy. From holy hand grenades to killer bunnies to the absurdity of the three-headed knights who say "Ni–!," this is the kind of movie that will strike you as fantastically funny or just plain silly, but why stop there? It's all over the map, and the pace lags a bit here and there, but for every throwaway gag the Pythons have invented, there's a bit of subtle business or grand-scale insanity that's utterly inspired. The sum of this madness is a movie that's beloved by anyone with a pulse and an irreverent sense of humor. If this movie doesn't make you laugh, you're almost certainly dead. 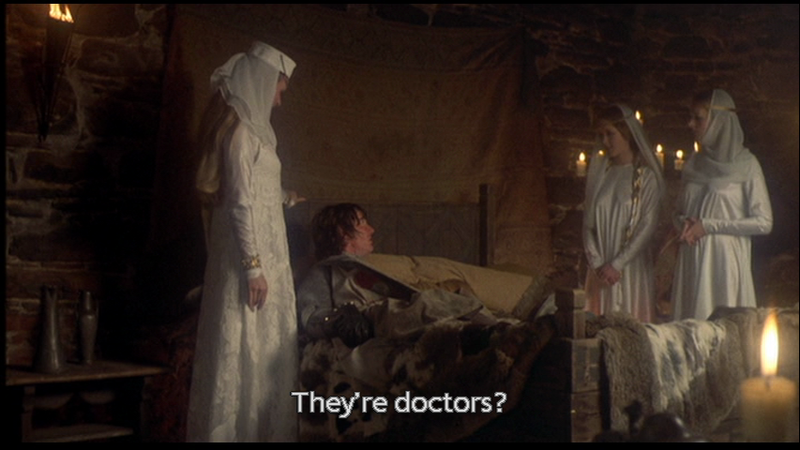 Michael Palin First Swallow-Savvy Guard / Dennis / Peasant 2 / Right Head / Sir Galahad the Pure / Narrator / King of Swamp Castle / Brother Maynard's Brother / Leader of The Knights Who Say NI! * High Definition widescreen presentation with pink frilly edges! * Soundtrack in glorious 5.1 Dolby Digital! * Subtitles in English, French and Spanish! * On-Screen Screenplay: Read the screenplay while you watch the film! * Extraordinary Animated Menus with very loud 5.1 Dolby Digital sound! * Fascinating Scene Selection feature: all-moving, all-singing, all-tax-avoidance! * Exciting "follow The Killer Rabbit" Feature! 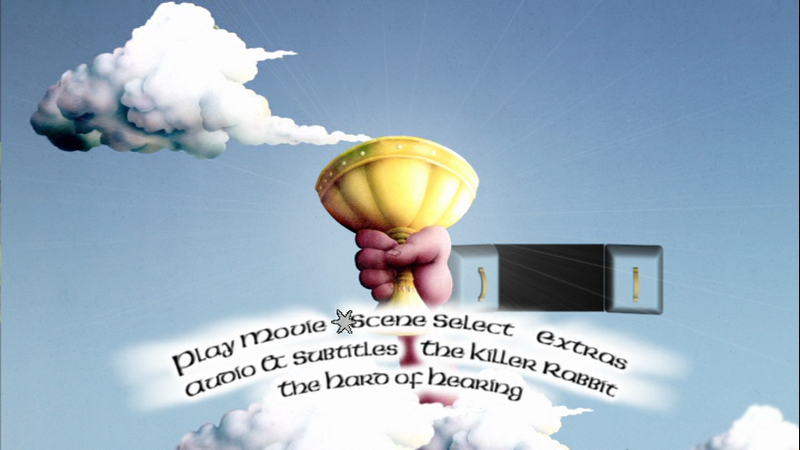 * A special feature for the Hard of Hearing! 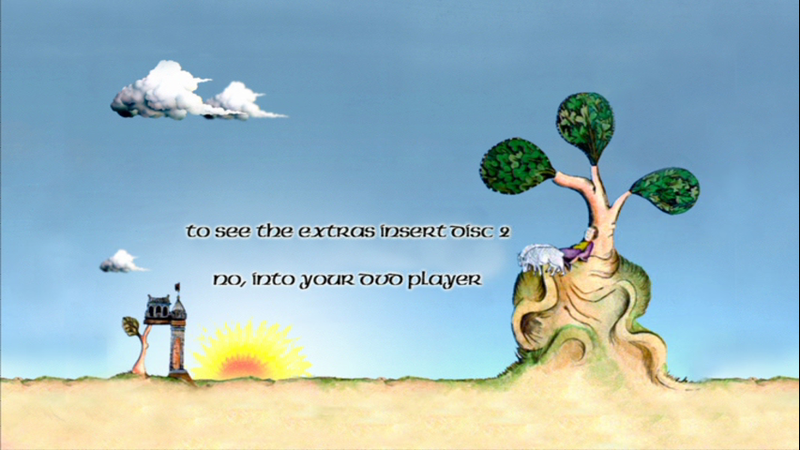 * A glorious extra 24 seconds absolutely free! * Mono soundtrack in glorious old-fashioned mono! 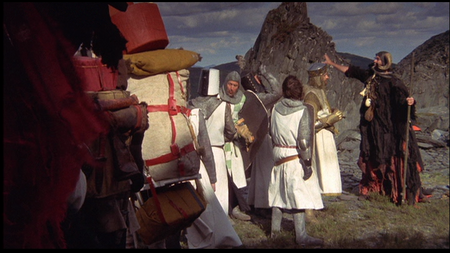 * Join Michael Palin and Terry Jones in their special feature documentary: The Quest for the Holy Grail Locations! * An Interactive Cast Directory: discover just how many roles Michael Palin plays!